Rafael Taft has known his share of struggles: he's an Army veteran, a police officer, a single parent, and the father of a special-needs daughter. A U.S. Army veteran of Desert Storm, Rafael served two tours in Operation Iraqi Freedom, where he set up and trained the new Iraqi police force. Hehas been a police officer for just over 20 years. Rafael's daughter is named Sunday, and like a ray of sunshine, she smiles constantlyand brings warmth to everyone she touches. Sunday is unable to sit up, stand, walk, or talk. Her diagnoses read "dystonia, tracheomalacia, and petit ganglia." Sunday loves to get out of the house and explore the world. She uses a wheelchair, but since she is justfour years old, her and her father had been able to get around fairly comfortably in the vehicle they had. But as she grows, this will become more and more challenging. 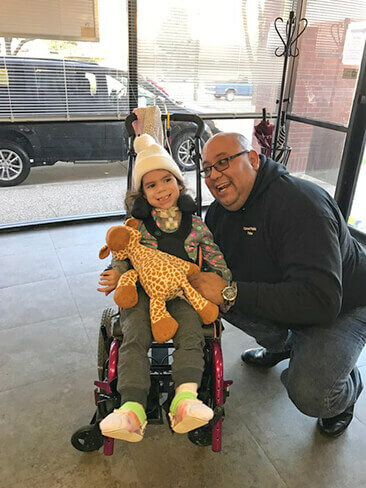 Rafael knew a wheelchair accessible vehicle was going to be necessary in the near future and saved every bit of money he could. But he knew it still wasn't going to be enough to continue the mobility freedom they know today. He turned to GoFundMe to ask for the generous help of others to get the transportation he and his daughter needed. That was seven months ago. Around the same time, Caliber Collision was looking for a recipient for their Recycled Rides program. Recycled Rides, according to their website, is, "a unique program in which insurers, collision repairers, paint suppliers, parts vendors, and others collaborate to repair and donate vehicles to deserving individuals and service organizations in local communities throughout the country." Rafael was donated a 2015 Dodge Grand Caravan at the American Airlines Sky Ball in October 2015 - three months after his GoFundMe page launched. 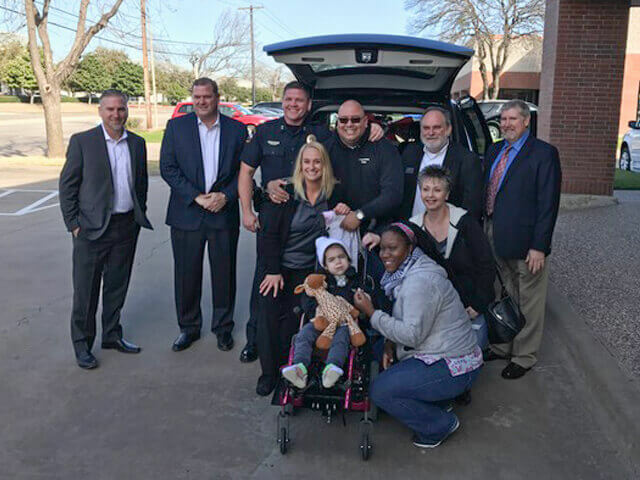 Those at Caliber Collision knew he still needed the van to be modified to solve his transportation problem, so they reached out to Mike Shipka at United Access in Carrollton, Texas. Mike shipped the vehicle to BraunAbility to handle the modifications. We put every piece of his vehicle together with love and care and can't wait to see what adventures Rafael and Sunday go on next.